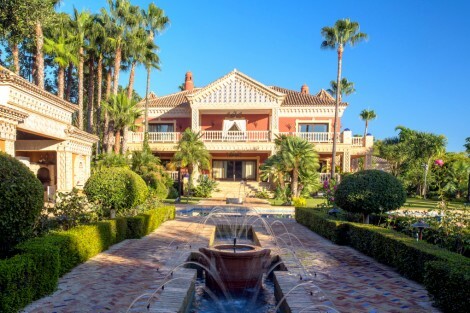 Located at the entrance of Sierra Blanca Marbella, one of the most exclusive gated communities set within the hills over Marbella’s Golden Mile, lies this brand new villa in classical style. Built to the highest specifications and using the best materials and qualities available, it is a one-of-a-kind mansion for a select few. The total built area of approx. 1.700m2 is distributed into 3 levels in the main house and a bungalow with guest accommodation and garage on the lower plot area. There are a total of 9 bedroom suites with 4 ample suites located on the first floor where amazing sea views can be enjoyed. The ground floor has a huge entrance hall with double height and double staircases as a main feature. 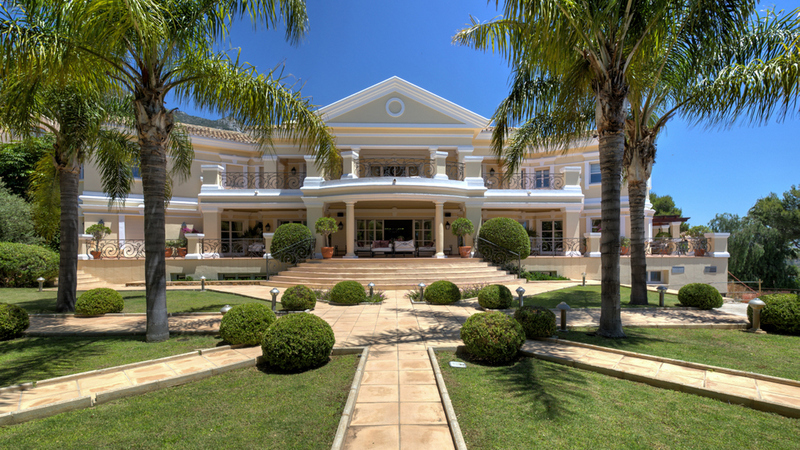 Apart from that, there is an office, a huge fitted kitchen, ample salon and dining area with access to a wonderful covered terrace overlooking the garden and pool. The lower level includes a fantastic SPA with its main feature being an indoor-outdoor pool which is connected, covering a space of 160m2 ! Next to it there is a gym, sauna and hammam with toilet and shower facilities. Additionally, there is room for a private cinema and games room, 3 guest or staff bedrooms, and a garage for 2 cars. The bungalow consists of a salon, with 2 guest apartments and a garage for 6 cars and has access to the lower street of Calle Puccini. Qualities include: A fully fitted kitchen, marble flooring, insulated wooden windows, private lift, indoor-outdoor heated pool, gym, sauna, steam room, cinema room, under-floor heating and A/C hot and cold, etc. Please, send me more information about ref W-02D3RS, Villa in Sierra Blanca, Marbella Golden Mile or similar properties.